The halloysite (HNT) in the form of nanotubes was used as an agent for the improved mechanical, thermo-mechanical as well as surface properties of polypropylene (PP) fibers. The halloysite is the nanoadditive that can affect differently the crystallization of PP in the non-oriented and oriented systems. The structure and mechanical properties of PP and PP/HNT fibers depended on the crystallinity and crystallization kinetics of PP at the fiber preparation. 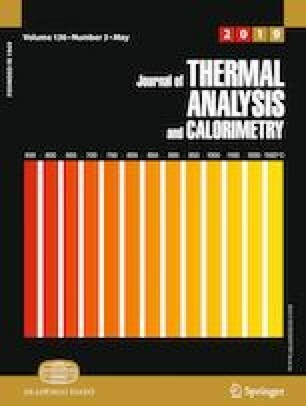 The Avrami method on the determination of isothermal crystallization kinetics parameters as well as an estimation of melting and crystallization temperatures and melting and crystallization enthalpies was used for the study of thermal behavior of polypropylene/halloysite non-oriented and oriented blends and fibers. Morphological structure, mechanical and thermo-mechanical properties of polypropylene/halloysite fibers were observed. An influence on all assessed properties was evaluated from the point of halloysite content in the PP and/or PP fibers. The increased HNT content in the non-oriented PP/HNT blends at the isothermal crystallization increases the rate crystallization (decreased t1/2 and free energy σe, increased K) of PP in comparison with the pure PP. The crystallinity of PP in the oriented PP/HNT fibers is not primarily affected by addition of the HNT content 3 mass% and does not change their mechanical and thermo-mechanical properties. 5 mass% HNT increases the crystallinity of PP in PP/HNT fibers expressing mainly the decrease in tenacity at the break, Young’s modulus and shrinkage. This work was supported by the Slovak Research and Development Agency under the Contract No: APVV-14-0175.